If You Need a Furnace Service, Give Us a call! How do you know when it is time for a furnace service? When it comes to your furnace and needing a furnace inspection or tune-up, the best plan of action would be to schedule ahead of time to beat the winter rush. We specialize in commercial services so if your commercial building needs to be checked out, we can help. 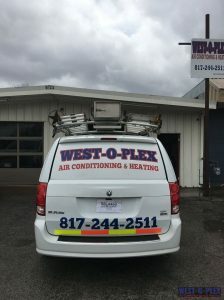 Sometime in the fall, you should call West-O-Plex Air Conditioning and Heating at 817-244-2511 to have us come out and do your tune-up. Even if nothing is wrong with your system, we will be able to double and triple check that everything is clean and working the way that is should be. Our professional HVAC technicians do this kind of work all the time so they will be able to help you make sure that everything is running the right way. We offer all kinds of furnace services and we service any brand that you have. We have many years of experience and extensive knowledge for how furnaces work and which brands will work the best for your home. We will always try to help keep it in your budget and if you are trying to save energy, we can recommend a few different options for you. If you need a furnace repair in Fort Worth, TX, make sure you call our professionals and let them take care of your home right away. A gas furnace service can be done at anytime, but they are the most common during the winter months. That is because when your furnace is off for a long time, it can sit and collect dust and other allergens. Your filter may need to be changed and there may be wear and tear that has happened since last winter season. The most common issue that happens with furnaces is that they will turn off and stop working due to a dirty filter. We can offer a heating inspection or different central heating services that will be able to fix the damage quickly and efficiently so that your home can start being heated normally again. 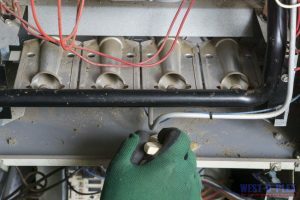 Sometimes when a furnace gets too old, it will need constant repairs to keep it going at an even lower efficiency rate. The best thing that you can do in that type of situation would be to have a central heating installation and get a new one. This would come with a warranty and allow you to have a system that works properly for many years to come. If you have been having to schedule repairs often over the last few months, then you might as well invest in a new system. You will end up saving yourself a lot of money, in the long run, doing it this way than to keep wasting your money on repairs that will likely end in the same result. Heat Pumps – A heat pump will work the entire year as a heater and as an air conditioner. The system supplies heat and cold air through different ducts that lead into the rooms of your home. Heat pumps are also energy efficient. Gas Furnace – A gas furnace is a great option for your home. It supplies heat evenly throughout your home and is usually a cheaper option than electric furnaces. The downside to having a gas furnace is that you have to careful of gas leaks that could happen. These can be dangerous and should always be taken very seriously. Electric Furnace – An electric furnace works very well and there is never a threat of a gas leak, which can deter people from wanting to get gas furnaces. These will be able to heat your home rapidly, but do tend to cost a little more when it comes to energy costs, compared to gas. Check Us Out And Give Us a Call! Having a furnace inspection done is a great way to make sure that your heating system is all working properly. This maintenance will also include a tune-up which will make sure that your filters are changed and that all of your levels are where they should be. We will also clean everything out for you to make sure that there is no build-up of dust or other allergens that get trapped in there throughout the year. Your furnace works very hard throughout the cold months, so it is important to take care of it the rest of the year and make sure that it is getting looked at regularly. Another situation where it is a great idea to have us come out is because we can go over everything with you and show you how to check on issues that may come up later on. We can also give you quotes on repairs in Fort Worth, TX if you end up needing something else done since we will be there anyway. We are a family owned and operated company so we believe in honesty and always being upfront with you. Before you turn your furnace on for the winter months, give us a call at 817-244-2511 so we can check out everything you have going on. This will give you peace of mind and confidence that your furnace will make it through the cold season.